I was not paid a dime or given free product for this review. So it's going to be truth serum to your ever loving ice cream soul. is that he is a good great listener. And he will drop a dime on a quality, name brand any day. So long as he reads up on all the product reviews and see that half the world is satisfied with their get. 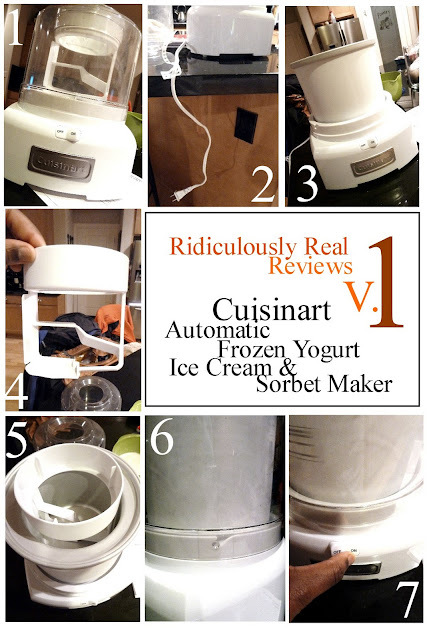 So was the case when he bought me a Cuisinart Automatic Frozen Yogurt, Ice Cream & Sorbet Maker. if he relied on me to hand crank something out. So, when December 4th rolled around, I said "no parties, just us." And he might have mumbled, "Well, and the ice cream maker." they get delivered and relegated off to the room of shame. Sherry, over at Young House Love has a Self-Imposed "Dude, Get On That Already" Challenge going on. with this really simple recipe from the Cuisinart Recipe Booklet. You can find lots of Cuisinart dessert recipes here. It was so easy, I of COURSE had to try something a bit more fru fru. for each month of 2012. Before we get to the ice cream though, let's review the machine. (he's white, so all things white in this house are dudes...all things black are gals...just saying). 2. Unfortunately...this dude is not very well endowed in the cord department. 6 inches long. Okay, slightly longer than that. But ridiculously short for a counter top appliance. There's a blurb on nanny-state safety reasons for this. blah,blah, blah. Just give me a longer cord alredy. 3. LOVE the double-insulated freezer bowl. Down with ICE! Just make sure to clear a (small) but dedicated space in your freezer to make sure it sits flat. You'll do this because you're going to want to use it all the time and who likes having to wait for the bowl to freeze? Not. it. 4. The mixing paddle is actually patent pending. Probably, because it is magic. for my ice cream to be ready. 5. Super simple "this goes in here, goes in here" assembly. Meaning, even my dog who clearly has no thumbs, can get the ice cream maker going for me. 6. No mess, no fuss super easy lock lid keeps it all tight. No, I did not try to play football with it. Yet. Superbowl is almost here. Come to think of it, ice cream will be the PERFECT Super Bowl treat. 7. One button operation. Click it on, click it off. Overall, I would say that I love this little workhorse. For $60, it really cannot be beat. The cons? Because, of course there are some. Cuisinart is a quality name. So far, I'd give this cutie an 8 out of 10.
and the all too anticipated Raspberry Sorbet. Pre #1. Freeze the freezer bowl overnight. Or you will have sad, sad no ice cream faces. 1. Steep a lot of stuff in a lot of milk. I actually used non-fat milk. Whole milk is for babies. 2 & 3. Hours later, reheat stuff you just chilled and add a whole lot of cream. 4. Whip eggs & sugar by hand to kid yourself into burning off the calories you're about to consume. 5. 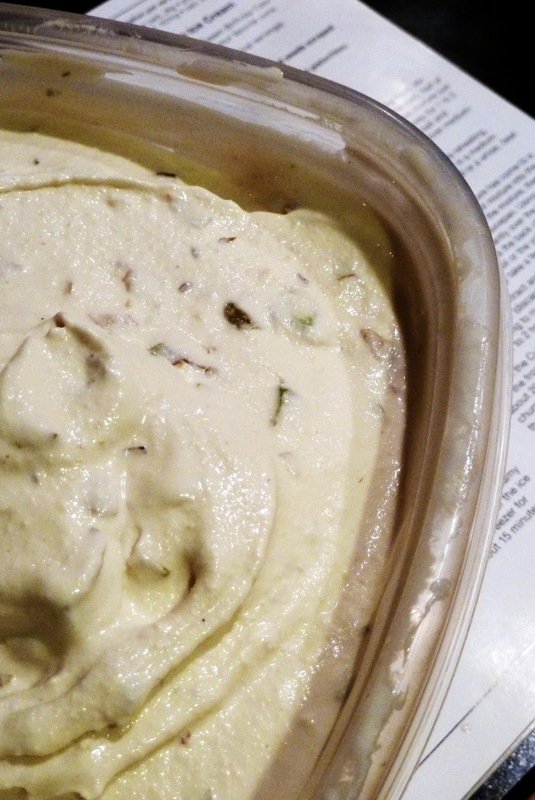 Add Almond extract which, shockingly, tastes just like Pistachio Ice Cream. Just. Saying. 6. Strain out the chunks, but save the pistachios! Those bad boys are EXPENSIVE. 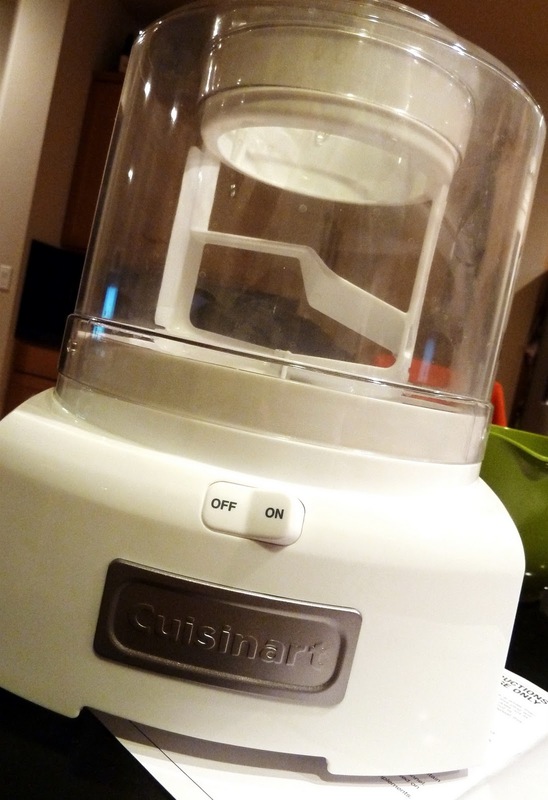 turn on the Cuisinart Automatic Frozen Yogurt, Ice Cream & Sorbet Maker. I had to go there. The name is just ridiculously long. 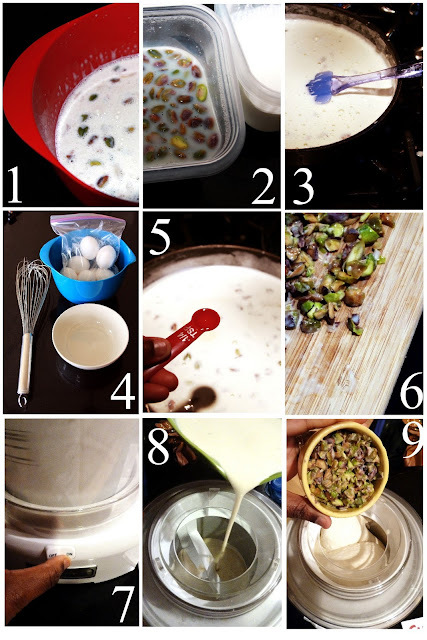 8.Slowly pour cream into freezer bowl to be iced (about 20 minutes). 9. With 5 minutes left, add the chunks and pray they don't break your awesome ice cream maker. Voila. Pure heaven. Or hell. Depending on your perspective I suppose. Any requests for altered recipes? Any suggestions for my list of 11 more flavors I need to undertake? Raspberry Sorbet, Peanut Butter Cup, Salted Caramel, Butter Pecan and Chai are all on the list. We got an ice cream maker for our wedding 4 years ago and I am yet to use it. Maybe I will give it a try sometime soon. After all my daughter loves ice cream. Let us know how the raspberry sorbet turns out.